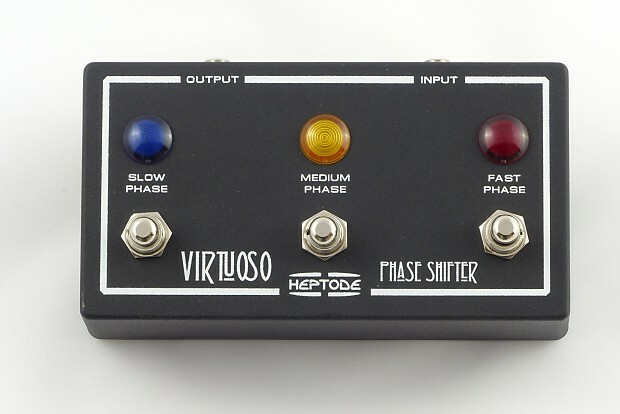 The Virtuoso is a boutique recreation of the original Maestro* PS-1A Phase Shifter, as used in the 1970's by keyboardist John Paul Jones (Led Zeppelin) and guitarists Steve Howe (Yes), Alex Lifeson (Rush), Ernie Isley (Isley Brothers), among many others. Footswitches below three colorful LED's select SLOW, MEDIUM or FAST PHASE. The effect ramps up or down when changing from one speed to another and like the original, sounds superb with guitar or keyboards. 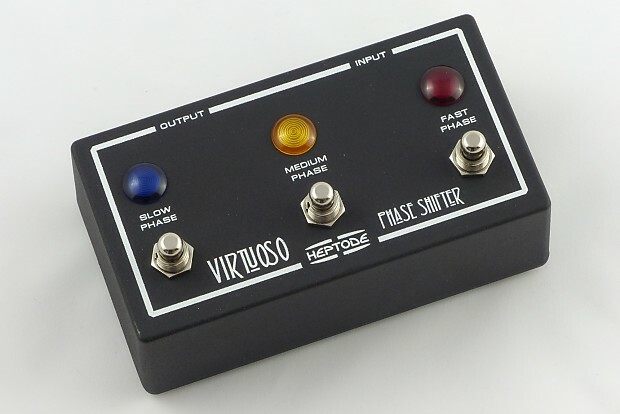 The Virtuoso's modern accruements include a footprint that is pedal board friendly, can be powered by either a 9v battery or AC Adapter, is true bypass (relay based) and has a much improved signal-to-noise ratio.